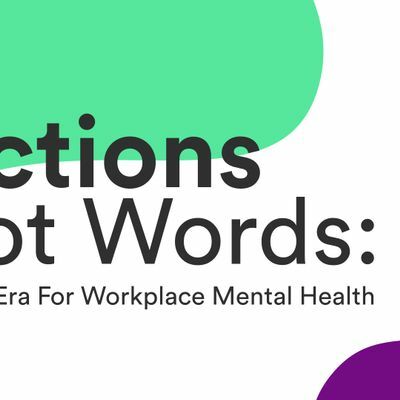 Actions Not Words: A New Era For Workplace Mental Health. Over an energy boosting breakfast, our panel will share their key learnings and insights for moving from 'talk' to 'action' within a workplace mental health strategy. We're delighted to be joined by Sir Ian Cheshire (Chairman of Barclays UK and Campaign Chairman of the Royal Foundation Heads Together initiative), who will discuss his experience and views on mental health in the workplace, alongside sharing insights from the government's Thriving at Work Leadership Council. Joining Sir Ian Cheshire will be Vish Buldawoo (Centrica - Vice President of Benefits and Wellbeing), on a panel chaired by Unmind CEO Dr Nick Taylor. You are welcome to put questions to the panel, network with peers, and enjoy a delicious breakfast - all hosted on the top floor of our beautiful FORA office.